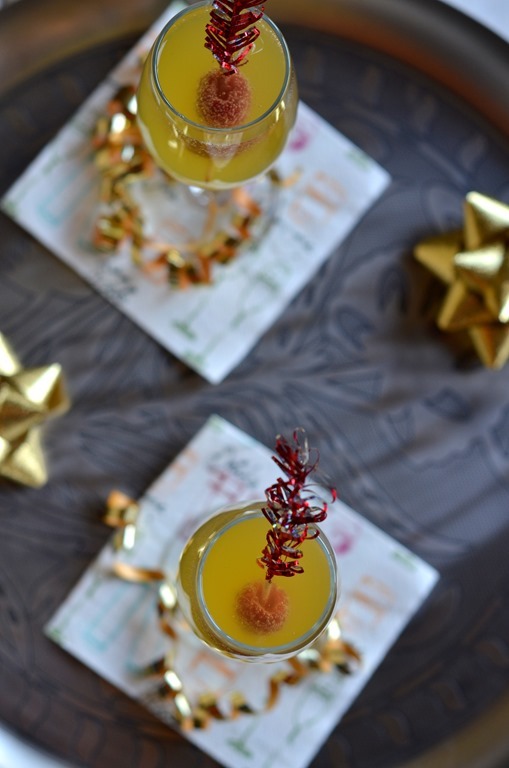 A tropical flavored cocktail with mango vodka and sparkling cider to serve for your New Years Party! Can you believe 2015 is coming to an end?!? I can’t. It is how it is every year. Every single year. I find it very hard to believe that the year is almost over when it feels like I just celebrated the beginning of the year. But this year seems especially fast and pretty eventful at the same time. 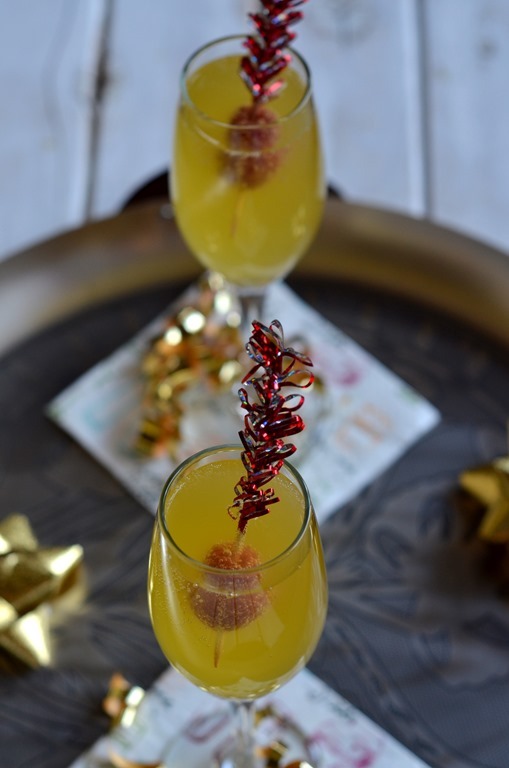 Here is a fizzy cocktail with tropical flavors to serve and drink during your New Years Eve party to help remind you of all those beautiful beach-y summer vacations you took this year and to take you back there even if for a little while. 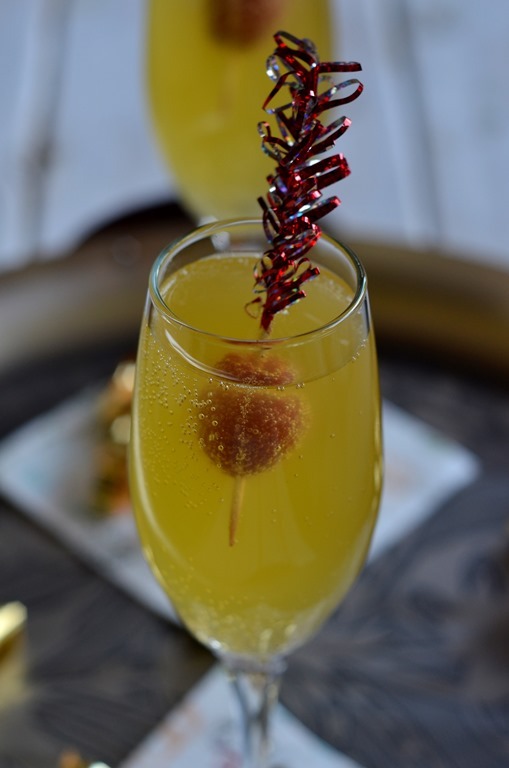 I used Martinelli’s apple cider in this, but if you want to booze it up a little more, you can add sparkling wine to it. It is pretty easy to make and you can just pour it directly into the champagne flutes and don’t need a shaker or mixer to make this. Just pour them all in, stir a little with the stirrer and enjoy! Pour the vodka in the champagne flute and add the bitters to it. Add the juice and then top it off carefully with the cider till the flute is almost full. Serve with a raspberry in a stirrer. Stir just before you drink. A tropical flavored cocktail to serve at your next dinner party. I could definitely bring in the New Year’s with this beautiful drink! Thanks Sharee. Happy New Year to you! 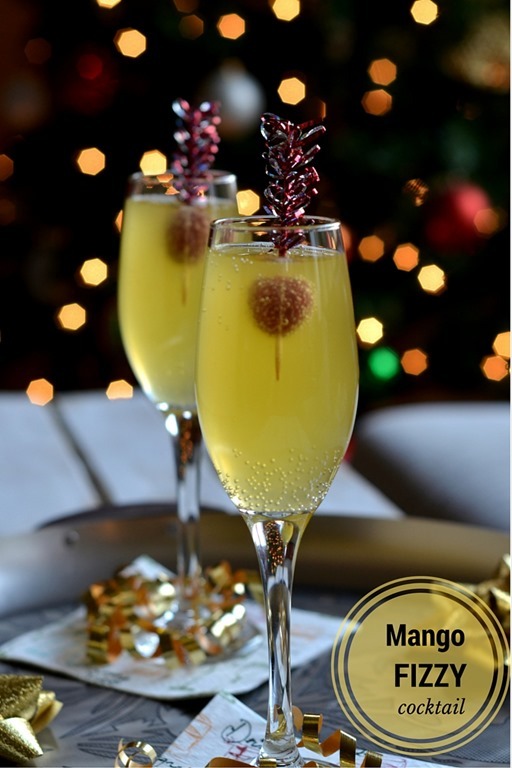 These look fabulous for a New Years Party – Love love love drinks with Mango and this one is really easy to make – Happy New Years !! !